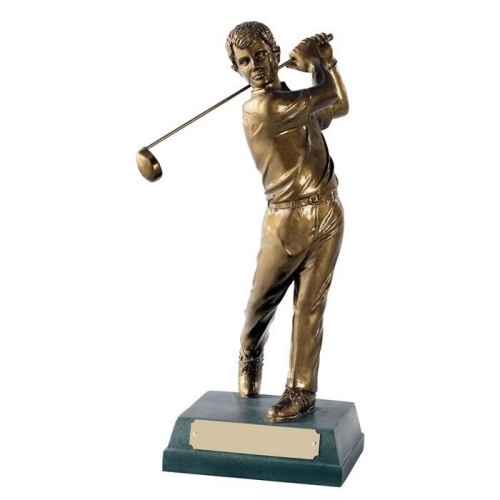 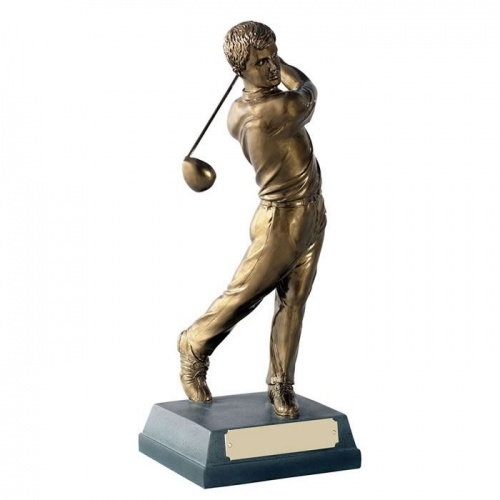 These striking resin golf figure trophies feature a male golfer figure in 'complete swing' pose. 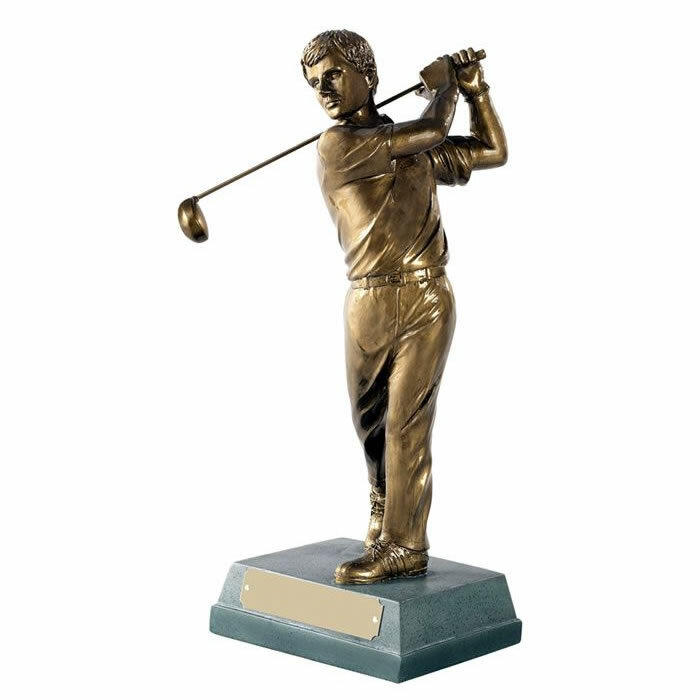 They are supplied with both a driver and an iron club, so you can customise the award to suit the achievement. 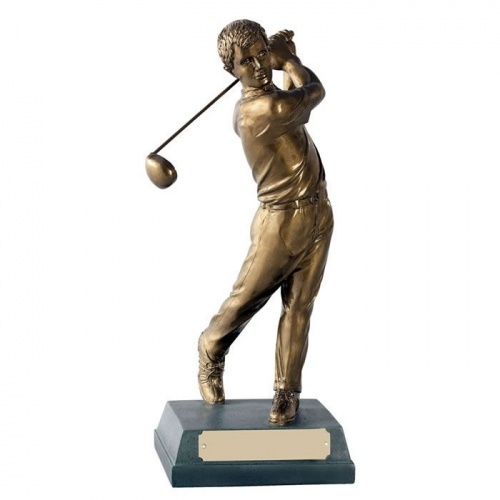 Available in four size options, offered with low cost engraving of the base plaque.